Read on to see how we have debunked some common misconceptions about Baccarat. Becoming a successful baccarat player doesn’t include just understanding the rules, playing the game by the book, following a strategy or learning the terminology. It’s more than that. It also includes understanding the myths and facts surrounding baccarat, especially the myths. If you don’t make an effort to debunk the myths, and instead you accept them by blindly believing in them, they can easily cloud your judgment about the game. Don’t get fooled by any myths, because they are just that, myths, something that is falsely believed in and without a sound logic behind it. Many of them have been resolved long time ago, and some still exist. The following list contains those that still persist in the gambling community. Myth: Some players think that they can use card counting methods in baccarat, just as easily as they have been counting cards in blackjack. This belief persists because baccarat and blackjack have some conceptual similarities. Fact: Can we really count cards in baccarat? Well, the answer is no, we can’t count cards in baccarat. This is because the used cards in baccarat are not returned to the shoe like in blackjack, so this fact alone hurts any baccarat card counting strategy. 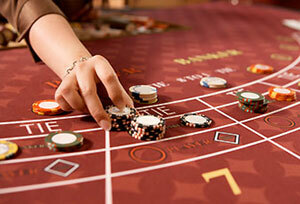 Besides that, baccarat and blackjack have important differences that cause card counting to be ineffective. Myth: Detecting patterns means detecting when a natural hand will occur (a hand of two cards totaling eight or nine). 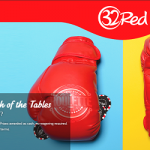 When a natural hand has been detected the player will be able to increase his bet and thus win more money. Fact: Baccarat is a game of pure chance, where virtually no skill is needed. 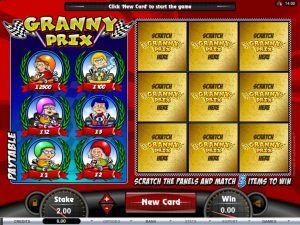 Although it’s a very interesting card game, you might just as well bet on a coin toss and still have the same chance of winning than playing baccarat, let alone detect any patterns. Myth: The most widely used progressive betting systems in baccarat are the Fibonacci and Martingale. These systems supposedly help a player take advantage of the probabilities and increase his bets appropriately, thus make profits. Fact: These betting systems don’t work in games like baccarat, games that don’t abide by the probability laws. Baccarat is a game where randomness is the law, so these progressive betting systems can be even riskier than they usually are. To use a progressive betting system in baccarat means having an unlimited bankroll literally, because there is a thin line between increasing your bet from $1 to $100 with these systems, so in case you have such a bankroll, knock yourself out with the Martingale or Fibonacci systems. Myth: There are people that still believe that online baccarat is rigged so it wouldn’t produce natural hands. The reason behind this is that the shuffling is rigged, just because the cards are not tangible and the shuffling is not visible. And this is not the case with baccarat only; skeptics believe all online games have been rigged. Fact: This is a false believe to which online casino players can testify. 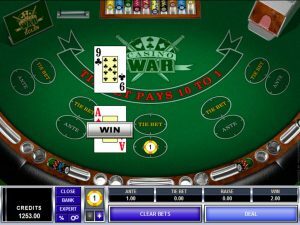 There are thousands of online baccarat players that have had natural hands with each baccarat session, and besides that online casino games are strictly controlled, regulated and audited, at least those of reputable online casinos. Myth: There are casino players, at least those that don’t understand the game, which believe that baccarat is one of the least profitable casino games. They’ve probably heard that baccarat is played only by high rollers and elite players, so they probably think it’s not worth playing if you don’t have the bankroll for it. Fact: Baccarat is one of the easiest casino games that don’t require much skill. In fact, baccarat is a casino game with one of the lowest house edges. Playing the banker bet involves a house edge of just 1.06%, while the house edge for the player bet is 1.24%. 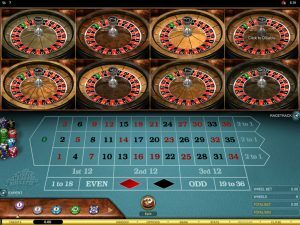 This is much lower than games like roulette or slots, so you can be the judge and decide where it’s easier to make profit. With time you will be able to spot any myth regarding baccarat, and you won’t let yourself fall for any of them, at least not if you plan to be a successful baccarat player. More myths will probably appear throughout the gambling community in the future, myths focused on creating false impressions about the game, but facts are your strongest weapon, so stick to them and be realistic. Don’t fall for any myth without doing a research about it.